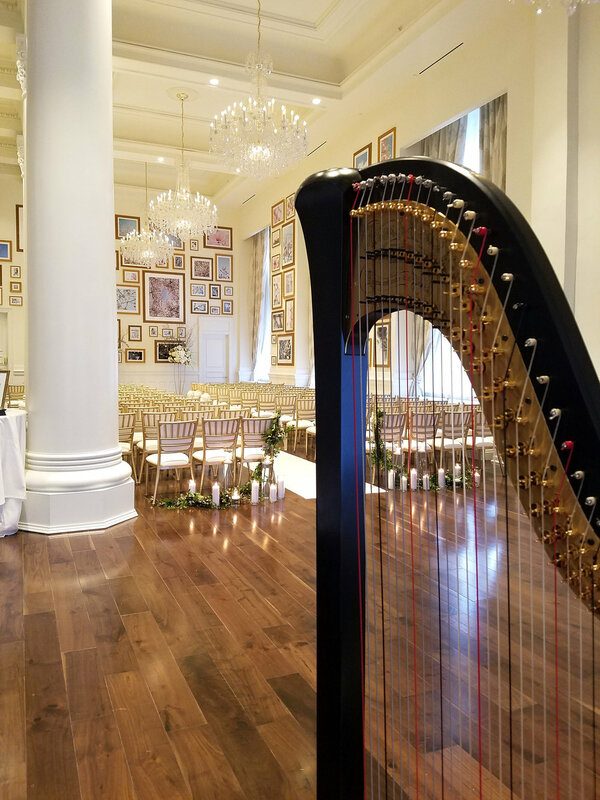 The elegant sound of the harp is the perfect addition to wedding ceremonies, receptions, cocktail hours, and other special occasions. 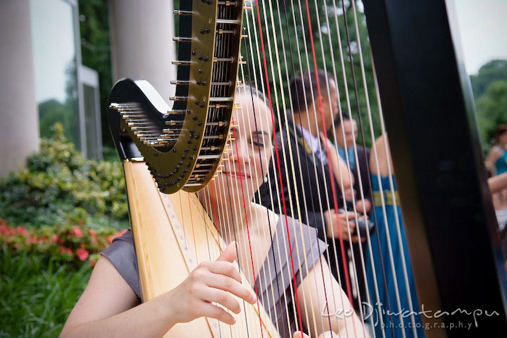 Whether it's a classical program or a mix of different styles, the harp offers a unique and memorable soundtrack to your special day, and Nadia's experience in having performed for hundreds of weddings and events in the Washington, D.C. area means that your music will be in the hands of a trusted professional. 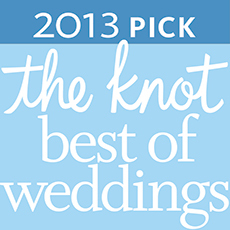 Nadia's work has been recognized by many of the wedding industry's top publications including The Knot Real Weddings, WedLuxe, Northern Virginia Magazine, Capitol Romance, United With Love, Bayside Bride, Sweet Thymes, JoAnna Dee Weddings, and Washingtonian Magazine. She was named Best of The Knot in 2013, and filmed the season finale of My Fair Wedding on WE TV, featuring celebrity planner David Tutera. 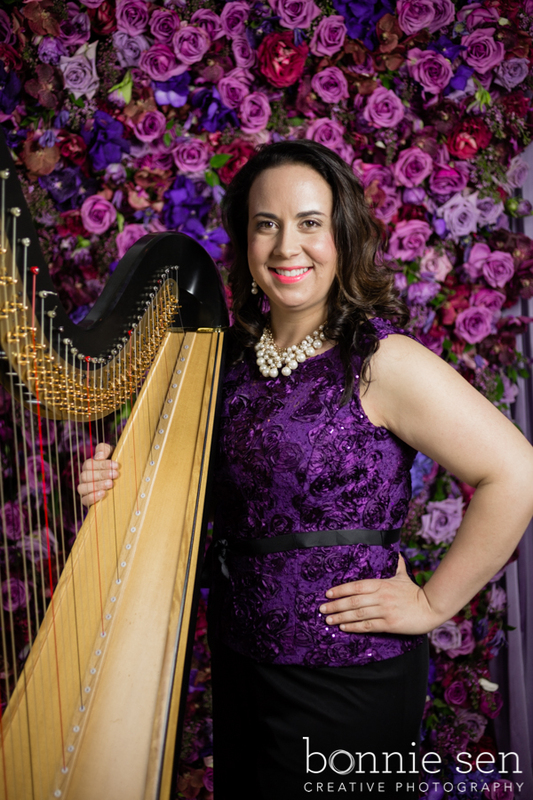 Nadia also served as featured harpist for master florist Karen Tran's Royal DC Cocktail Party at the Mandarin Oriental. She has also worked with designer Tiffany Cook of Platinum Weddings, and many of the area's top event planning companies and coordinators. Nadia accepts a select number of weddings a year, which ensures she is able to give each of her clients the thoughtful attention they deserve. The harp functions beautifully as a solo instrument, accompanying a vocal soloist, or in a duet paired with flute, violin, or cello. 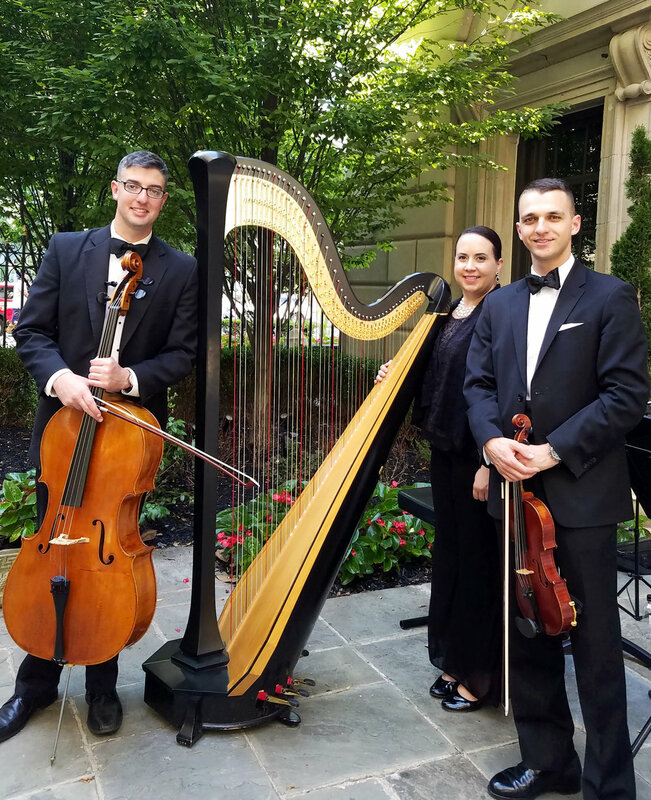 For couples desiring the most dramatic effect, a trio of either flute or violin, cello, and harp provides a full-bodied orchestral sound and a stunning soundtrack to your wedding day. All of the personnel Nadia performs with are professional musicians from leading orchestras in the D.C. area. For a list of venues where Nadia has performed, click here. All clients receive a personalized playlist and detailed guidance to help you through the process of choosing your music. Nadia's goal is to help bring your wedding vision to life, and to help you select music that is memorable and meaningful to you and your partner-to-be. To view a partial list of Classical and Pop/Contemporary songs, click here: Song Lists. With a diverse repertoire ranging from traditional wedding favorites by Bach, Handel, and Vivaldi to jazz standards and contemporary artists such as Bruno Mars, Lady Gaga, and John Legend, Nadia is able to customize each wedding she plays. One of her unique skills is arranging pop songs and non-traditional songs "by ear." 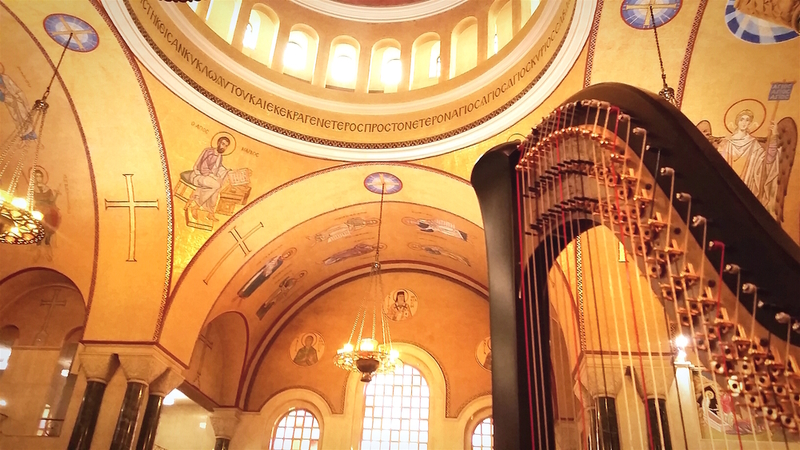 If a song exists on iTunes or YouTube, there is a good chance it can be adapted for harp, so don't hesitate to ask. Rates depend on a number of factors, including the length of the event, mileage fees for locations outside of the Washington D.C. area, and musical requirements. Combined rates for the ceremony and cocktail hour are also available. Please contact me for a personalized quote. Nadia has performed for international and mixed-faith weddings, Jewish weddings, LGBTQ and Spanish-language ceremonies, and is committed to honoring diverse cultural traditions. Dates are not secured until receipt of a signed contract and a deposit. To check availability and to discuss your wedding music options, please contact Nadia directly.